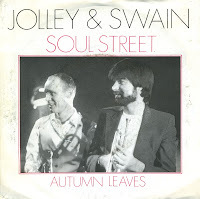 Steve Jolley and Tony Swain produced the music of bands like Imagination, Bananarama and many others. In 1985 they decided to release a single of their own, the instrumental track 'Soul street'. It sounds a lot like the music of the aforementioned bands. The single was taken from the album 'Backtrackin', also released in 1985.